Just a quick post this time. 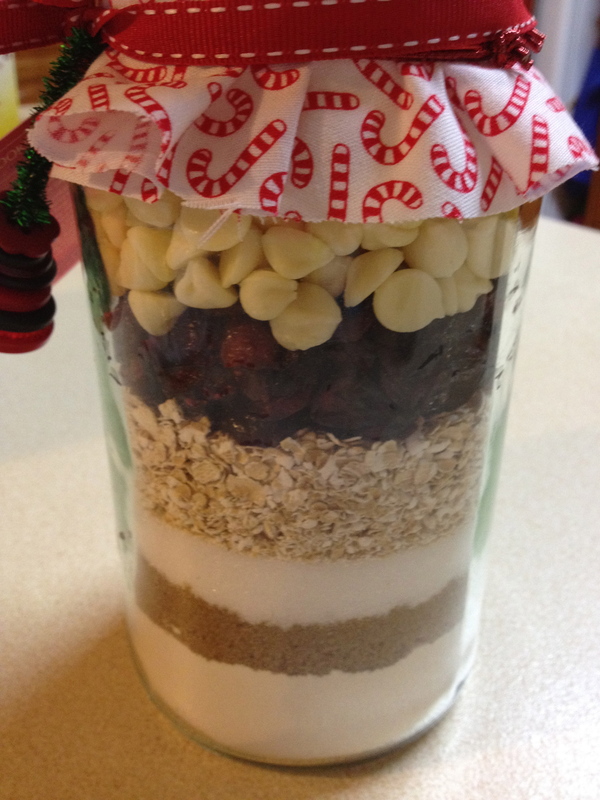 I wanted to share with you these great cookies in a jar. They’re a great gift idea for teachers, grandparents or anyone who enjoys baking – and a perfect thing to make with your kids. They are easy, inexpensive and look great. You will find the ingredients and printable gift tag by clicking here. You will also need a 1L glass jar ( I ended up getting a large Moccona coffee jar because I couldn’t find any), some Christmas fabric cut into a circle large enough to cover the top and sides of the top, an elastic band to hold the fabric on and some ribbon. Place all the ingredients into the jar as directed on the recipe. Put the lid on and cover with fabric. 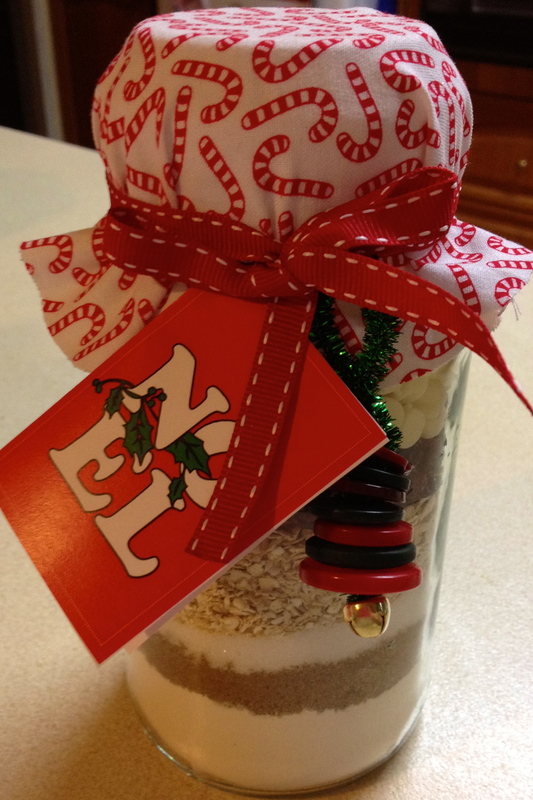 Use the elastic band to hold the fabric on and tie the ribbon around the top of the jar. We added a Button Christmas Tree decoration that Thomas had made – you can find out how to make those by clicking here. You can get your kids to help with measuring, pouring and decorating the present. We gave one to one of Thomas’ teachers yesterday and she loved it. She was looking forward to going home and making the cookies with her kids… Love it :-)!